The wearables market is continuing to grow! The IDC recently announced that Q2 shipments are up more than 26% over this time last year to 22.5 million. What is the top selling wearable? Fitness bands. Protecting fitness bands while providing a true-to-life customer experience is difficult due to small sizes and differences in the bands available. That is no longer an issue for retailers with InVue’s new J704 Alarming Showcase. 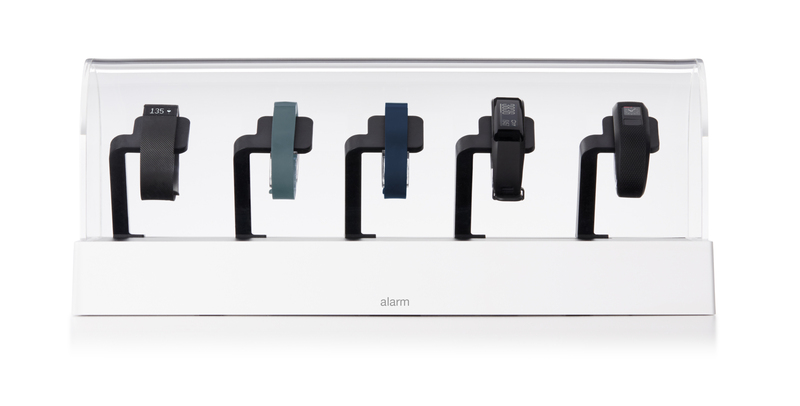 InVue’s latest innovation protects fitness bands as well as smartwatches, action cameras and small electronic devices. What makes the J704 Alarming Showcase a perfect above-counter solution for retailers is that it both secures and powers the devices. With InVue’s IR2 or IR3 key, a sales associate can easily hand the device to a customer, who can then experience all the device has to offer. Smartwatches and other wearables need to be powered up to really see the features, and the J704 Alarming Showcase integrates OEM chargers so display happens the day it arrives in store. Contact InVue today to see how this new showcase solution can provide a jewelry store experience in any retail environment.